This Yin Yoga Teacher Training includes Fundamental Skills for every Yin Yoga Teacher or dedicated student including learning how to teach Yin Yoga Sequences for the Yin Yang organ pairs, Yoga Anatomy* including skeletal variations of the hip, Mindfulness Meditation & Psychological Enquiry Practices, Introducing Meridian Theory and Chinese Medicine for Organ Health, experiential Yin Yoga practice and teaching practice daily. This is a training in Yin Yoga Fundamental Skills. 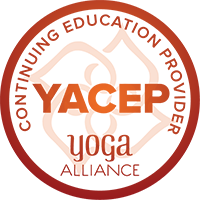 It is open to both yoga teachers and other professionals in related fields who have a dedicated yoga practice. 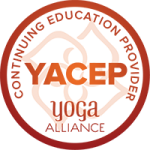 This course is a pre-requisite for those wishing to attend the Advanced Yin Skills course with Sarah Lo. It is not recommended for students new to the practice of yoga. *The overseas courses will not include the Yoga Anatomy session on Skeletal Variations of the Hip. 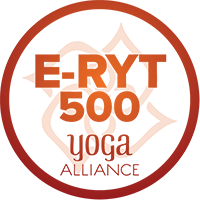 This is a Yin Yoga Teacher Training and attendance in the entire program is required in order to receive a Certificate of Completion from Sarah Lo Yin Yoga Teacher Training for 40 hours. Those who are unable to attend all of the classes will be awarded a Certificate of Attendance based only on the hours attended. Please plan your time and travel accordingly in order to not miss any of the sessions. Please bring your props for the Milton Keynes course, including your mat, bolster, belt and 2 small blankets and 2 bricks. If you are travelling from overseas we will be able to provide a set of props by pre-arrangement only for an additional fee of £30 at the time of booking. No props will be available on the day of the training. The schedule for the week will be explained on the first day and this will also be in your manuals. Each day will include both lectures and an experiential practice of Yin Yoga, Pranayama and Mindfulness Meditation Sessions and Dyad Enquiry Practices as well as Practice Teaching Sessions and Practicals. Mentoring post study with Sarah Lo is optional (at additional cost) and available to do by Skype or FaceTime. Private consultations with Sarah during the week of the training are not possible. Students are required to read ‘Insight Yoga’ by Sarah Powers (available from Amazon.UK) and Mindfulness by Mark Williams and Danny Penman assigned for this training before they arrive. Reading this book is an integral part of the training so please purchase this upon registration of the course so you have plenty of time to read this before the training begins. A teacher training manual with suggested articles will be handed out on the first day of class. Everyone will also be required to bring their own copy of Insight Yoga to class each day which will be used as part of this course. JULY: £550 Early bird price; £620 after May 15th. SEPTEMBER:£550 Early bird price; £620 after July 15th. Full Set of Props for hire for overseas travellers £30 by pre-booking only. Bank transfers (BACS) are the most cost-effective way to pay. Please Contact Me for bank details. Bookings cannot be accepted without payment. You will receive an email confirming your place upon receipt of your payment. PAYMENT/CANCELLATION POLICY: Your payment includes £200 non-refundable administration fee. Strictly no refunds for cancellations within 12 weeks of the training. We regret there can be no exceptions to this (including illness, family issues, pregnancy, job changes etc) as our costs have already been incurred. Please purchase cancellation insurance to protect you from any losses you may incur. All cancellations must be made in writing to Sarah@SarahLo.co.uk. No refunds will be made for failure to attend or failure to complete the teacher training or withdrawal from the program due to unforseen circumstances. No transfers to other courses or between students allowed. All refunds will be processed within 2 weeks following a program. The cancellation policy is firm. After registered payment, we will send you a confirmation of your booked spot. This will also act as your payment receipt. No other receipts will be provided. We highly recommend that you purchase cancellation insurance if you are concerned about the possibility of needing to cancel your course as we cannot be responsible for covering the cost of refunds under any circumstances. Please do not book non refundable travel until you have had confirmation that this course is going ahead.